The early portion of the trail is heavily forested. Make sure to get on the right path by looking for the correct posts near the beginning. View from the top of Picnic Table Rock. The town of Hope and the trail to Gull Rock are directly across the bay. McHugh Creek Valley up ahead. This area is around the point where the forest starts to recede. North Suicide Peak comes into view as the trail curves to the left. North and South Suicide Peaks. Named by early railroad workers, and ironically, not as hard to climb as their names suggest. Rabbit Lake. 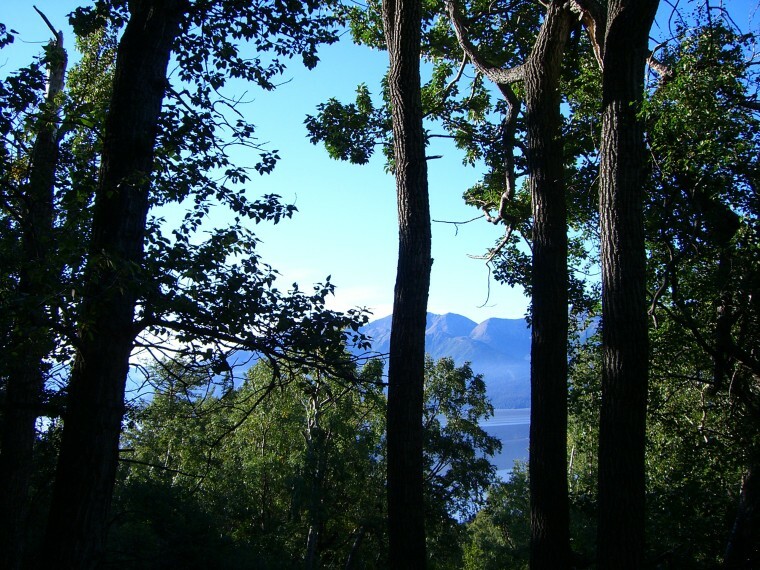 Nicely hidden away in a gorgeous part of the Chugach. 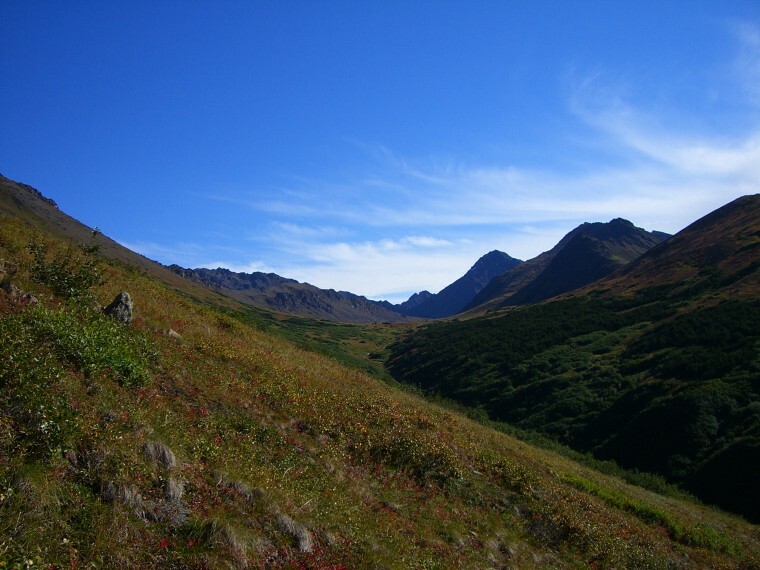 The McHugh Creek trail leads to Rabbit Lake high in the chugach mountains. From the trailhead, take the route left from the post. 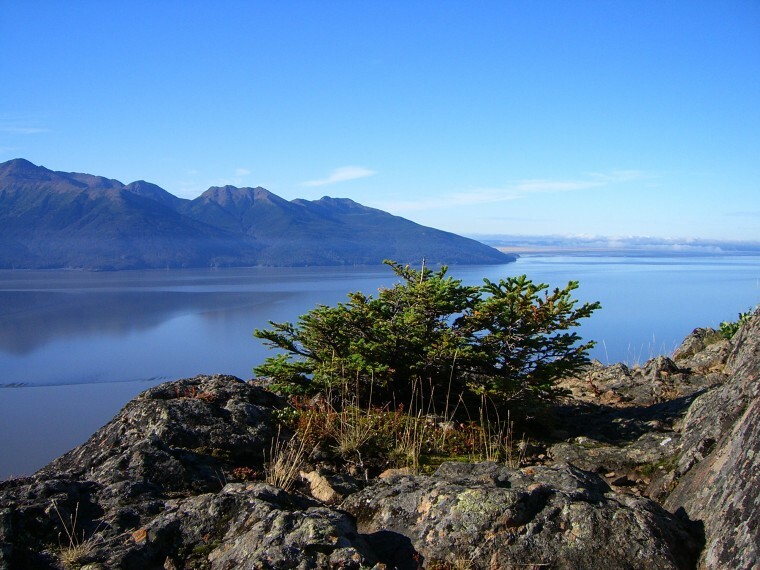 Follow the Turnagain Arm trail until reaching yet another post, then take the route indicated for McHugh Creek on the right and head uphill. Over the next couple miles, the trail makes it's way up the slope across several switchbacks. A rocky outcrop known as Table Rock juts out from the left-hand side of the trail. Make sure to take a right either before or after reaching the rock (heading left will lead to McHugh Peak). 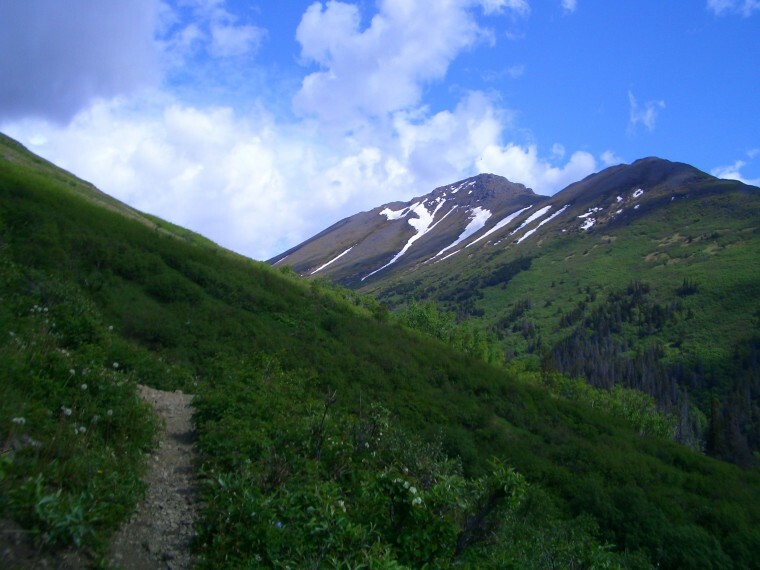 From here the trail maintains a steady course around the mountain and into the valley up ahead. North Suicide Peak comes into view about the time the trees begin to give way to tundra, followed by South Suicide Peak. As the trail progresses the inclination begins to level off a bit, which makes the going a little easier. The trail meets up with McHugh Creek after hiking into the valley a ways. 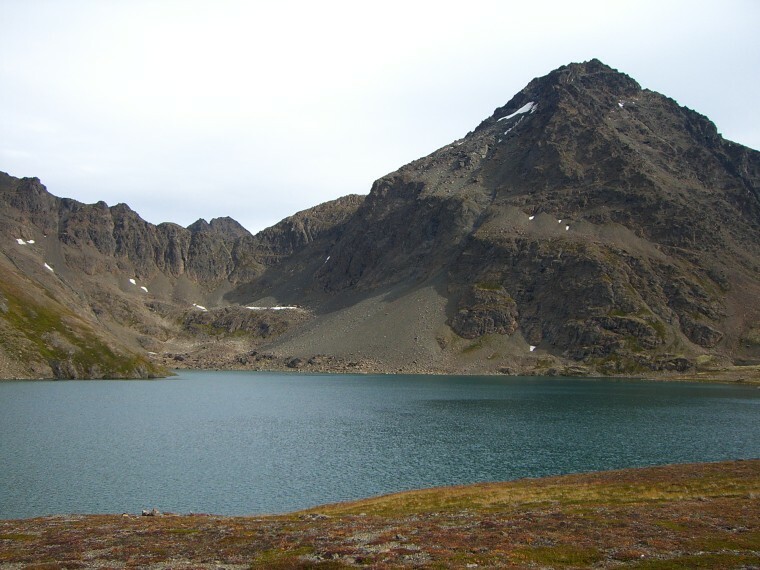 An impressive Rabbit Lake can be seen after making your way over the final, somewhat rocky slope near the trail's end. A moderetly challenging hike. Practically the entire trail is uphill to the lake. Due to the length involved, you may want to consider making it an overnight trip. There are plenty of nice places to set up camp around the lake as well. From Anchorage, head south on the New Seward Highway. Shortly after passing Potter Marsh, look for the Chugach State Park headquarters on your right. Continue for another 3 miles from there and the McHugh Creek parking area will be on your left; it's rather large and hard to miss. The trail starts from the top-left section of the higher parking area. There tends to be a lot of wildlife on or near this trail. I've seen dall sheep, moose, and even bears while hiking here.